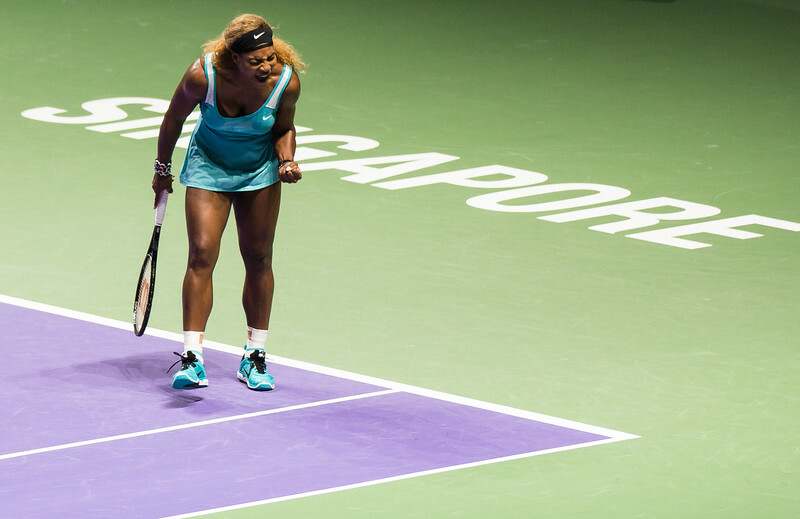 The year end WTA Finals arrives in Singapore where the top 8 women players battle it out for the crown. The talent, skill and beauty on display needs to be seen to be believed. The 'money shot' of the night. Ana Ivanovic in focused concentration. 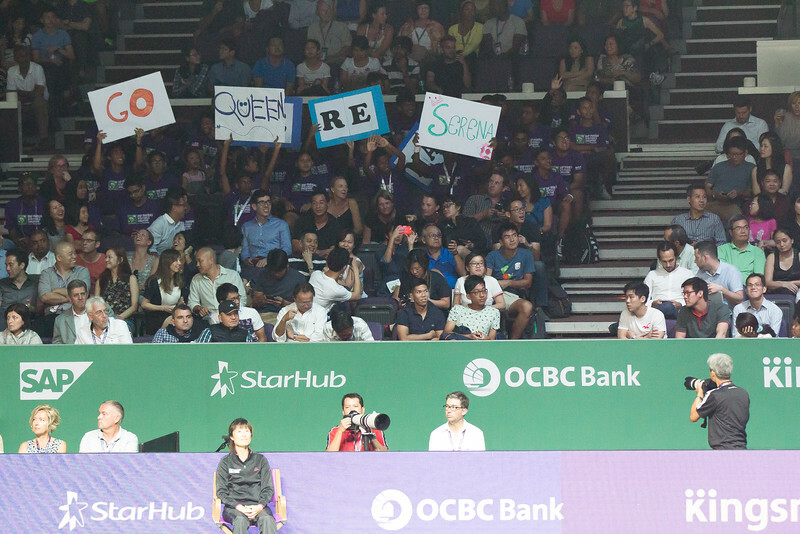 Queen Serena's fans making themselves known in Singapore. 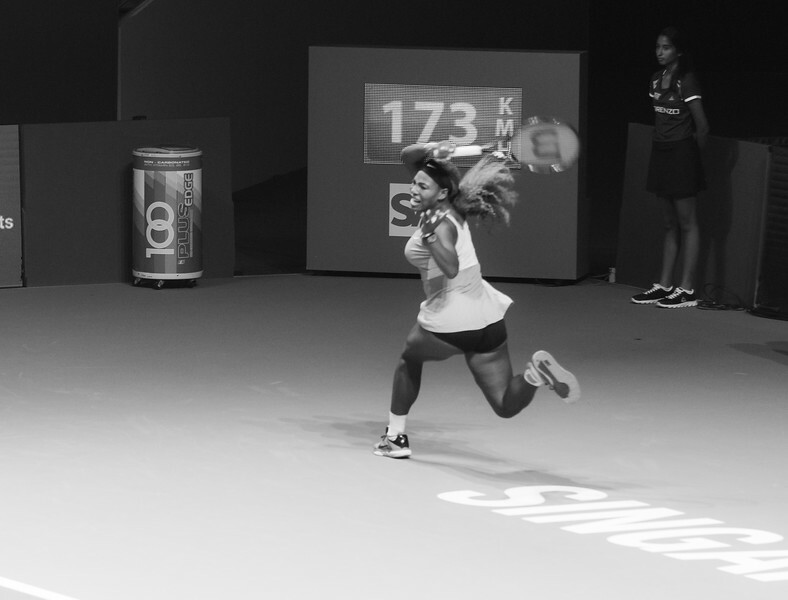 Serena with a running forehand. 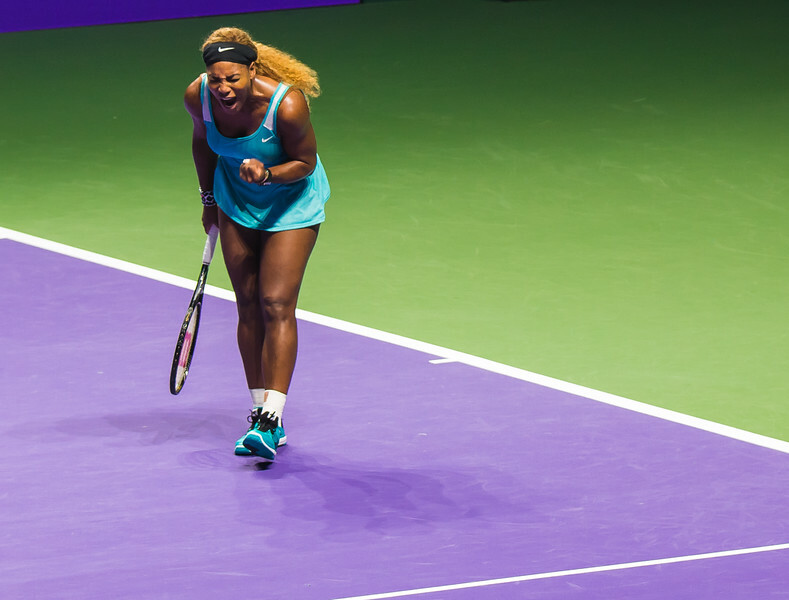 Her speed around the court is just as good as it was years ago. 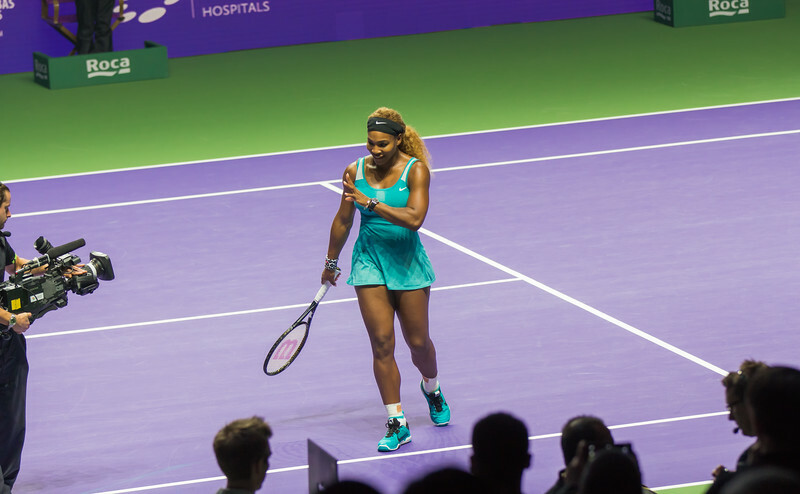 Simon after her victory over Genie. She ought to be very pleased after that performance. 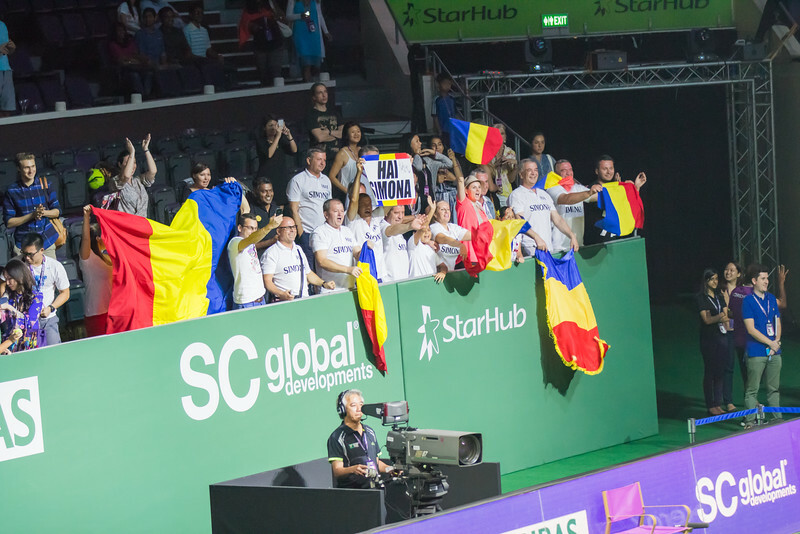 Simona's fans who travelled from Romania to Singapore to cheer her on. LEGENDS. 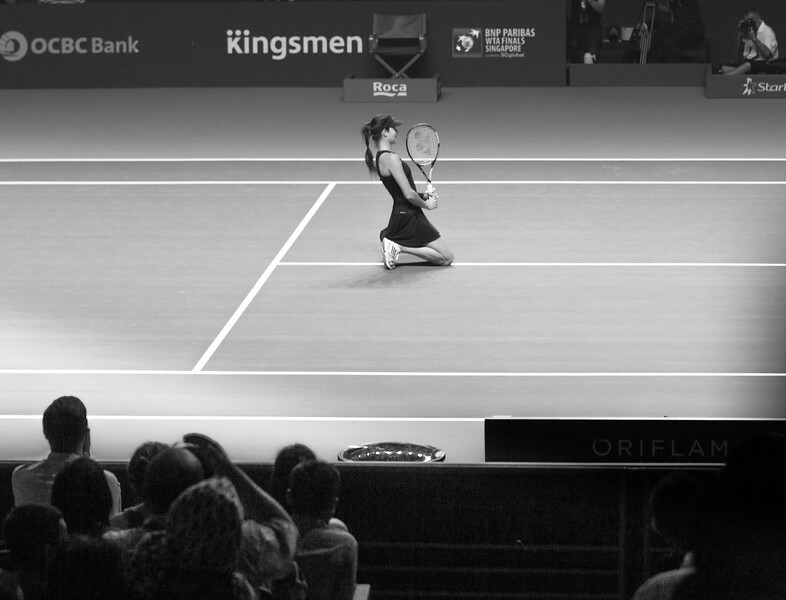 Simona's PINPOINT stance during her serve. The pink shoes are just oh-so-cool as well. Genie caught in no man's land (funny how that works across genders) with a high ball. 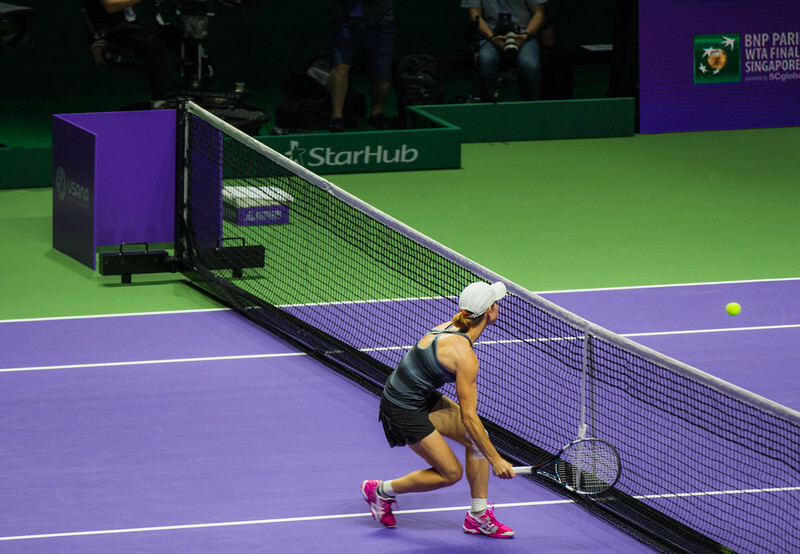 Genie's quick hop before return of serve that sets her up. 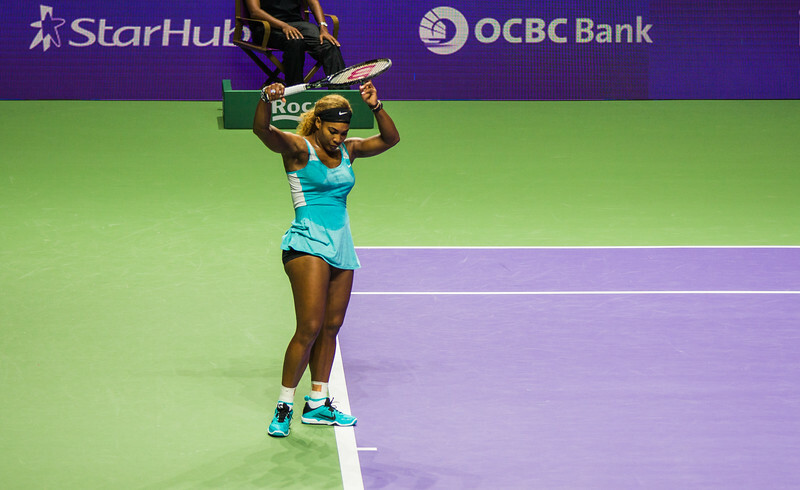 Genie making a difficult return of serve. Capturing a shot where the ball is that close to the racquet requires training and a lot of luck. 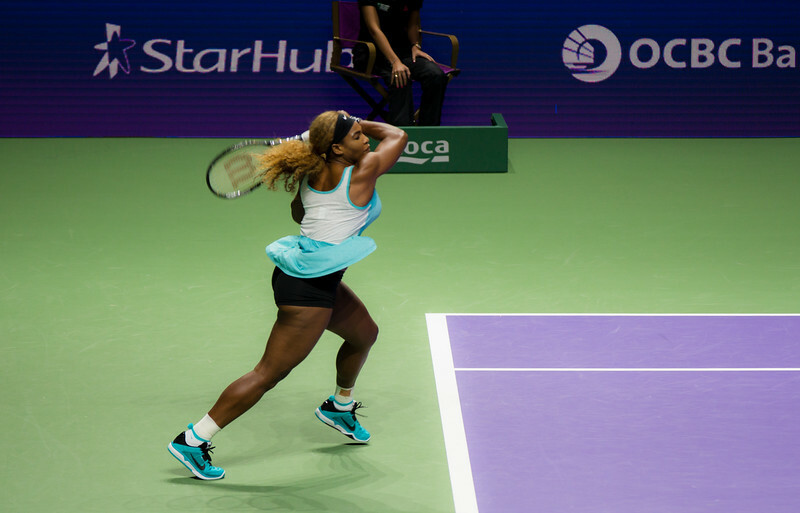 Simon's amazing preparation and contact point on her backhand. 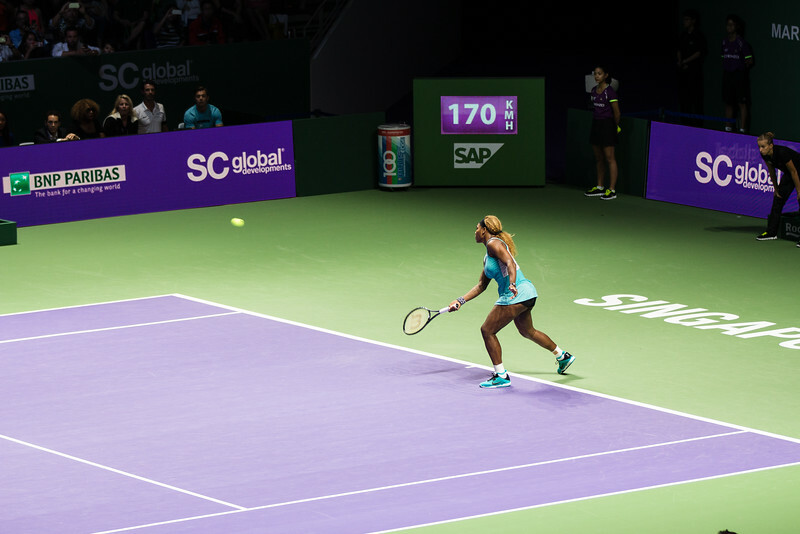 Genie with a deft backhand volley. It's hard to believe the she is just 20 years old, but what a great couple of years she's had. Simona Halep and Eugenie Bouchard at the customary photo before their game. 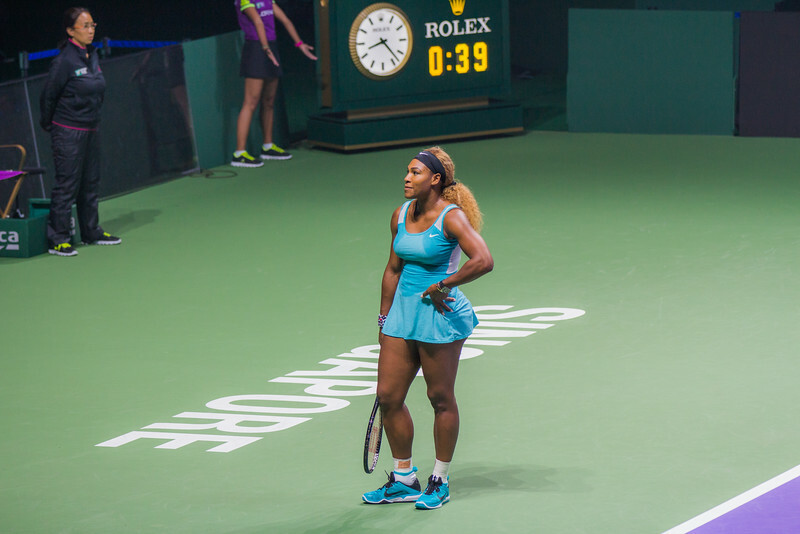 Serena ecstatic after her win! The reaction from her box is priceless. 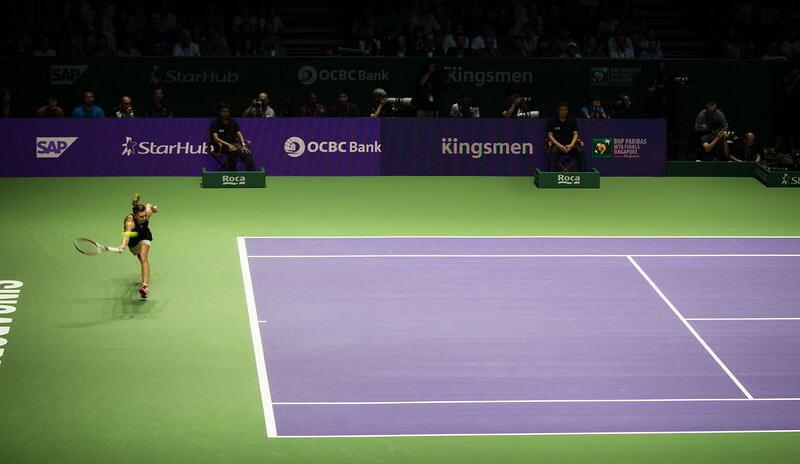 Ana collecting her thoughts before serving. Her box right behind her feel the tension as well. 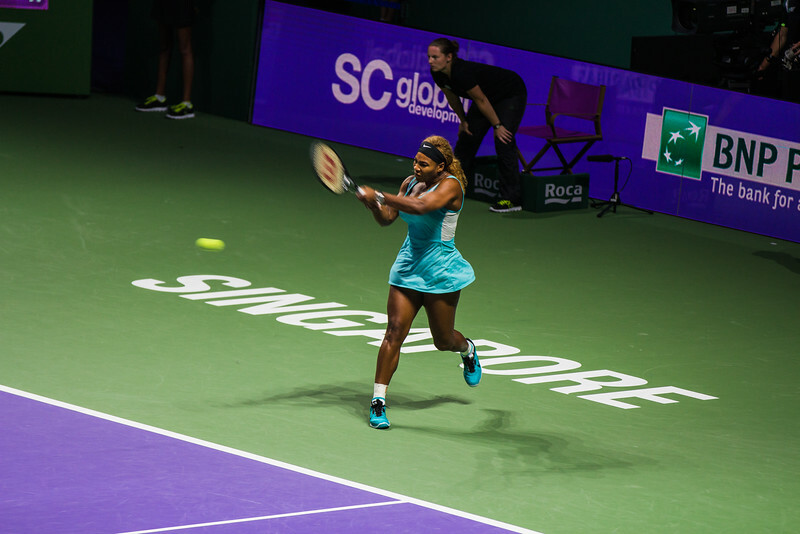 Ana with a high back hand. Her preparation was a tad late on this one. Ana Ivanovic is incredibly talented and she is a stunner. Getting ready to serve with her usual grace and poise. 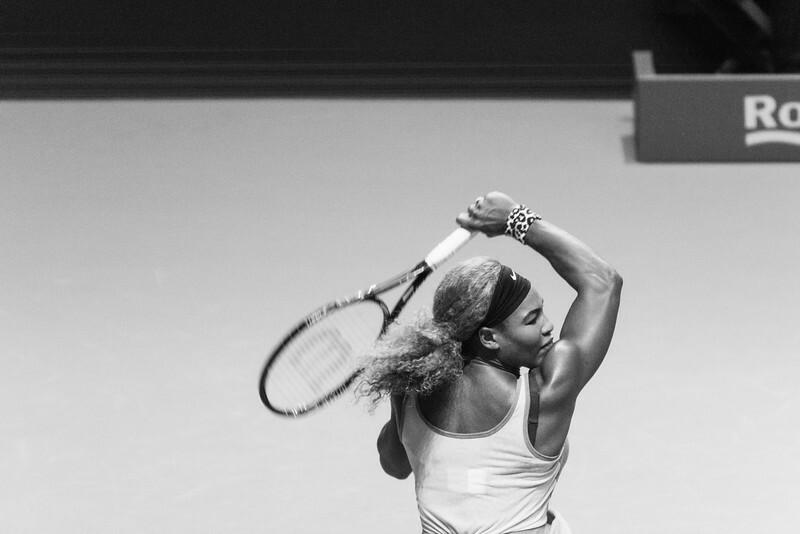 Serena is one of the most fit female athletes in the world and her muscle definition is clearly the star of this shot. 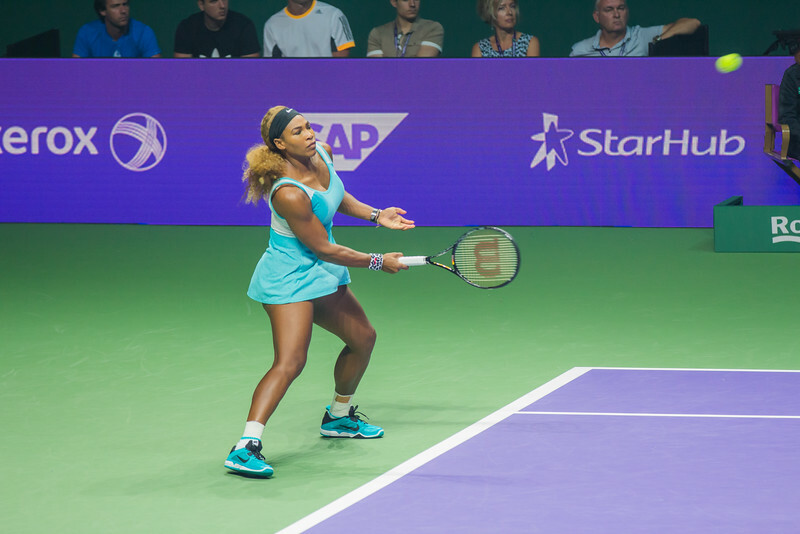 Serena letting a forehand rip. The follow through on the shot is exemplary as well. 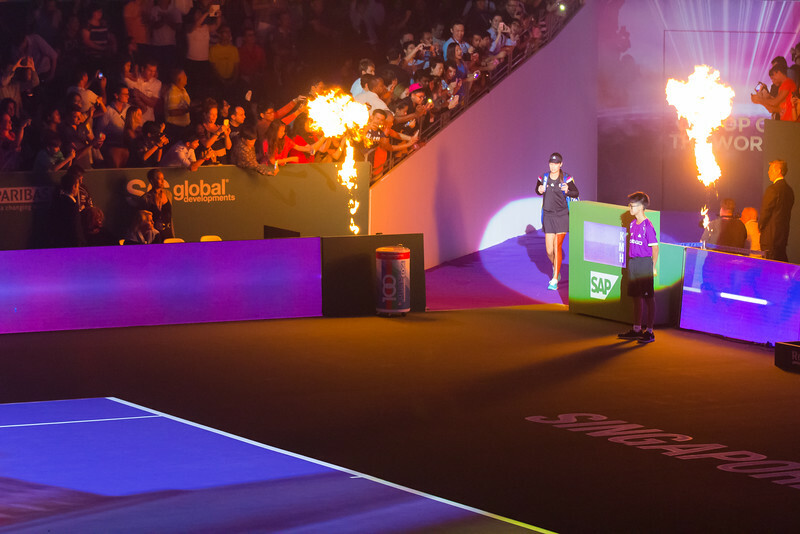 Ana Ivanovic making her 'fiery' entrance. 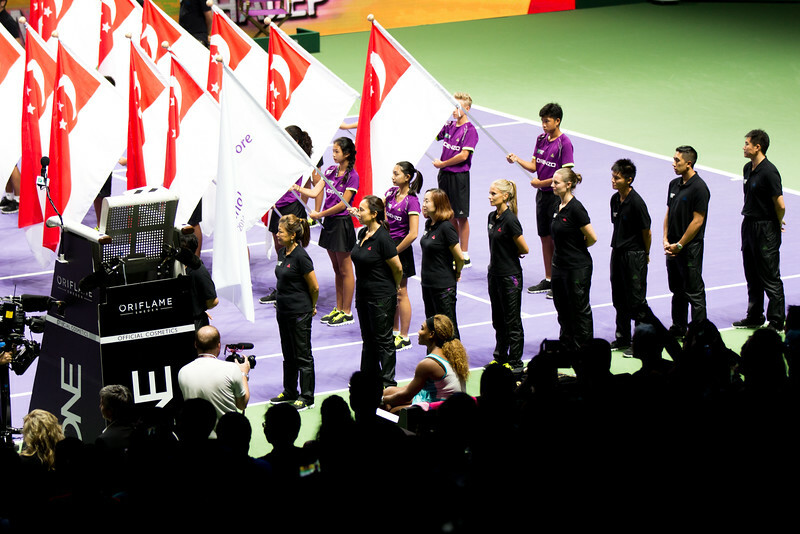 Li Na during the ceremonial first serve of the WTA finals tournament. It was the first time she was serving in high heels. Grace personified. Asia's favourite women's tennis player Li Na. 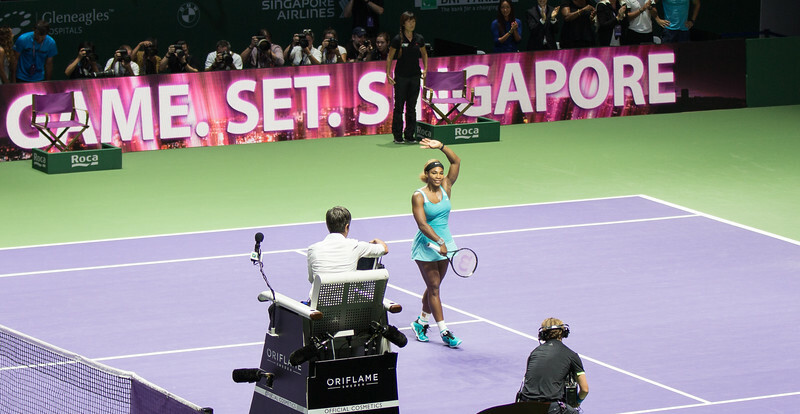 Li is also the WTA tour finals ambassador. 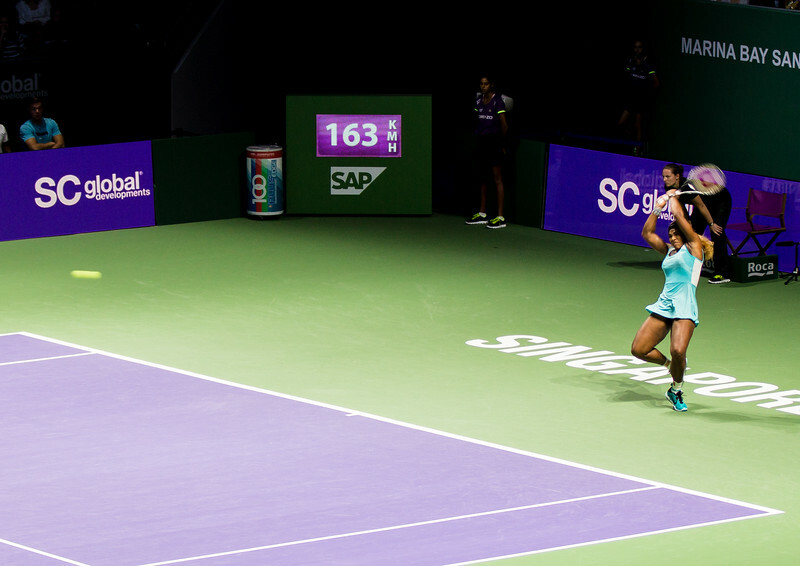 Sania Mirza with a great follow through on her forehand.